Cookies and Cream Take Two! Anyways, as I promised yesterday, here is my jazzed up Cookies and Cream! I decided to bring out the black glitters in the polish wish a quick tape mani with OPIs Black Onyx. I thought this added an edge to the innocence of just Cookies and Cream alone. 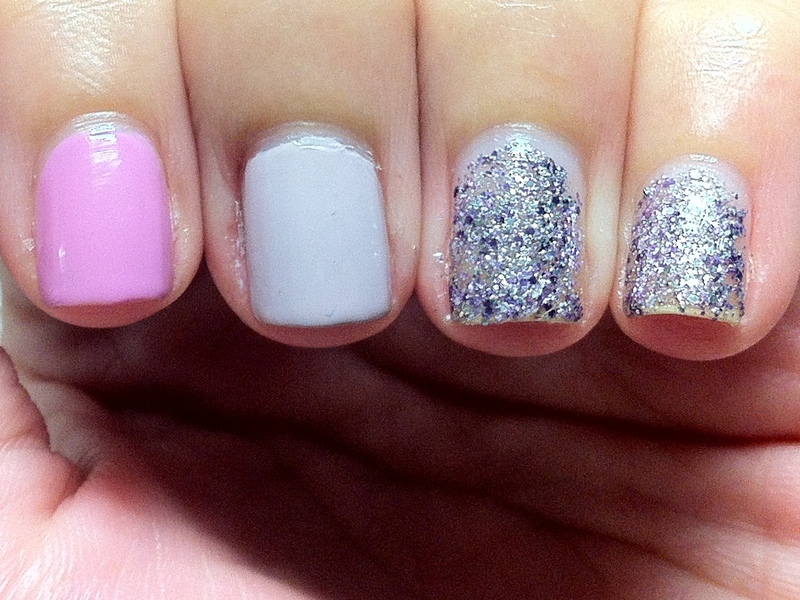 I love how these two manicures, though the difference is so slight has such different looks to it! What do you think? Would you walk around with mis-matched manicures on your hands? 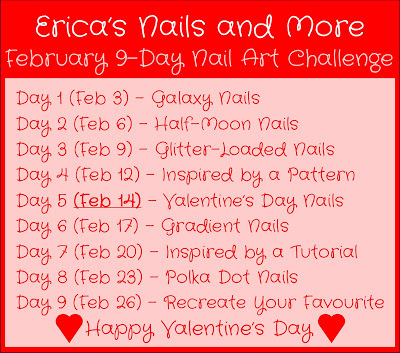 I have a really quick post for you lovely ladies today! I have Cookies and Cream from the Hungry Asian today! Cookies and Cream is a white milky base with a dash of fine black glitter in it. I have always loved Kae’s (the lovely lady behind The Hungry Asian) creations and have been eyeing this polish as well as Strawberry since I first found out about her. Both these colors were out of stock for quite some time before I grabbed them and I do not regret it at all! Who says black is boring?? The weekend is here!! What better way to bring in the weekend than to wear some dark, glittery polish?? This is 4 days after my last mani and my fingernails have grown quite a bit really! I didn’t expect them to be so long so quick. It must be because of all that nail juice (balms, oils and lotions) that I’ve been applying! 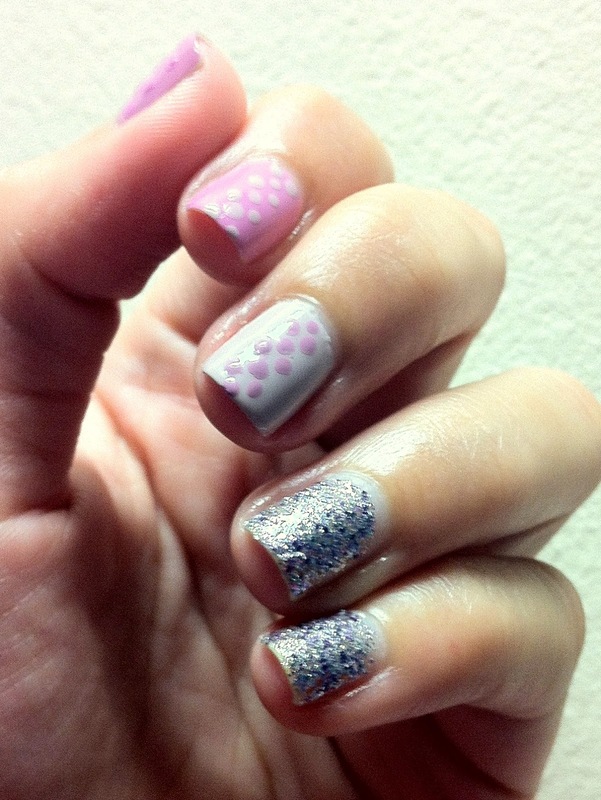 Today I have two awesome glitter polishes to show you. Can you spot the difference?? I am wearing I Got Distracted by Cult Nails on my middle, ring and little fingers and Sea Creature by The Hungry Asian on my thumb and pointer. I wore both of this polishes over 2 coats of OPI Black Onyx. 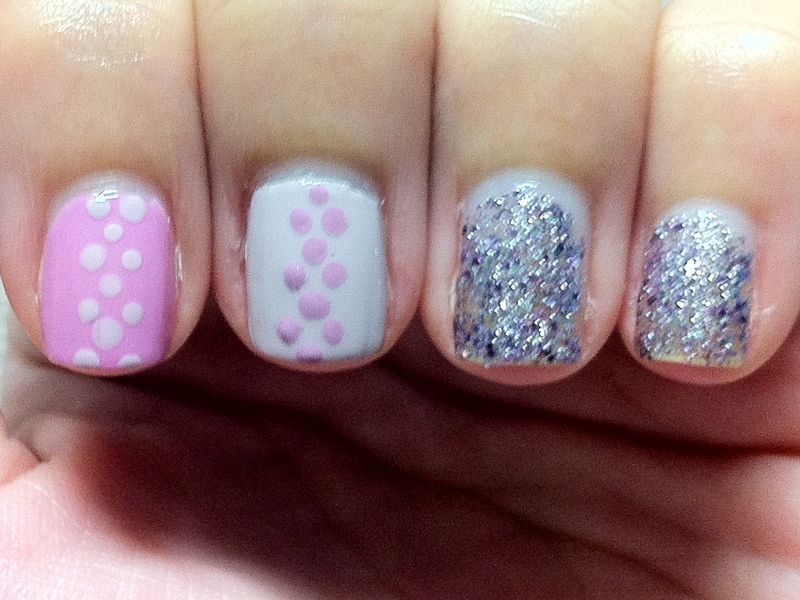 Both these polishes actually looked very similar, which is the reason why I paired them together. Sea Creature is a black jelly polish filled with blue/teal hex glitters, small black glitter with a dash of fuchsia and green superfine glitters. I Got Distracted on the other hand is also a black jelly base packe with holographic micro glitter and larger green glitter. The blue/teal glitters in Sea Creature shows up way better in this photo above. And the photo below was intentionally blurred to bring out the awesomeness of the glitters! !